Modern genetics is based on the idea that genes are passed on to progeny in a predictable fashion, as first described by 19th-century Austrian botanist Gregor Mendel. He determined that genes exist in pairs, and each one of the two has an equal chance of being transmitted to the next generation. However, in rare exceptions, chromosomes are able to cheat this process and are passed on at a higher frequency. 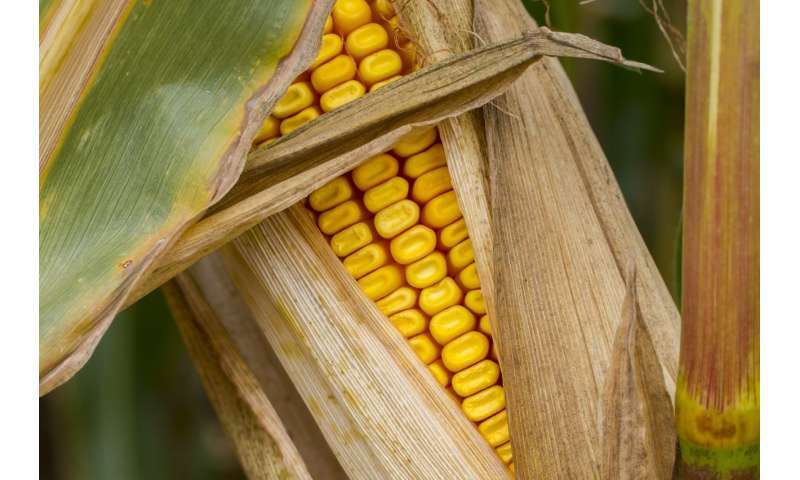 It may come as a surprise that many heirloom varieties of corn contain just such a cheater. Called Abnormal chromosome 10, it cheats in the female part of the flower during meiosis, where it is regularly transmitted about 75 percent of the time instead of the normal 50 percent. Now a team of researchers at multiple universities led by UGA Distinguished Research Professor of Genetics Kelly Dawe has discovered that Ab10 encodes a cluster of genes that code for specialized motor proteins. These motor proteins bind to chromosomes and actively pull them to the reproductive egg cell. The molecular motors are only found on Ab10, and they enable the Ab10 chromosome to bypass Mendel's law and be transmitted to more than 50 percent of the offspring. The paper, "A kinesin-14 motor activates neocentromeres to promote meiotic drive in maize," was published in the journal Cell. These so-called meiotic drive systems are suspected to have evolved and gone extinct many times in the history of both plants and animals. As in sports and other conflicts, the presence of cheaters has favored the evolution of new biological rules that thwart the cheaters and ensure overall fairness. It is rare to visualize a cheater in action, and rarer still solve its molecular mechanism. 20 years," Dawe said. "It was very satisfying to finally find the genes, and even more satisfying to learn that molecular motors are powering the process."